Hi CTK friends! 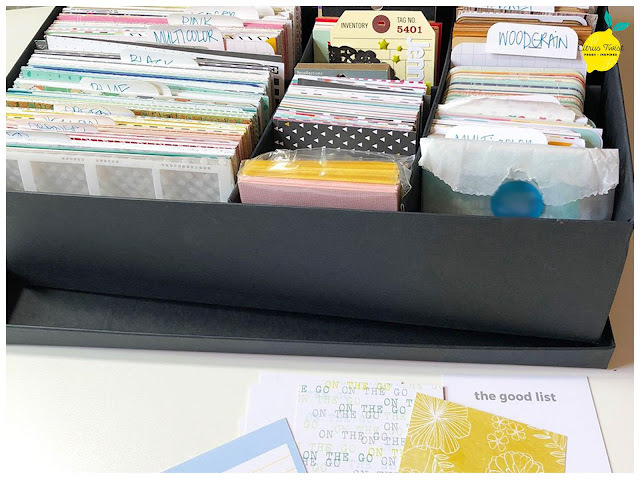 This month the Pocket Life Team are sharing some brilliant ideas on how they store their journaling cards! All my cards are from Citrus Twist Kits. I don't have a lot of them, as I actively use them in the Project Life. I keep them together with the stamps in the container is from IKEA. Hi, friends! I like to store my Project Life (PL) cards in two little wooden Ikea boxes and organize them by color. Over the years I've tried organizing my cards in various ways (from manufacturer to theme), but since I usually select my PL cards based on their color, that's what makes the most sense to me when it comes to organizing them. To keep my card supply somewhat minimal I like to go through them every now and then and de-stash. This helps me not only remember what I already have but also keeps me refreshing my stash. I work best when I'm not surrounded by too many supplies so keeping my stash small is really important to me. Journaling cards have been a problematic supply for me over the years, but I’ve finally found a storage solution that suits the way I scrap! 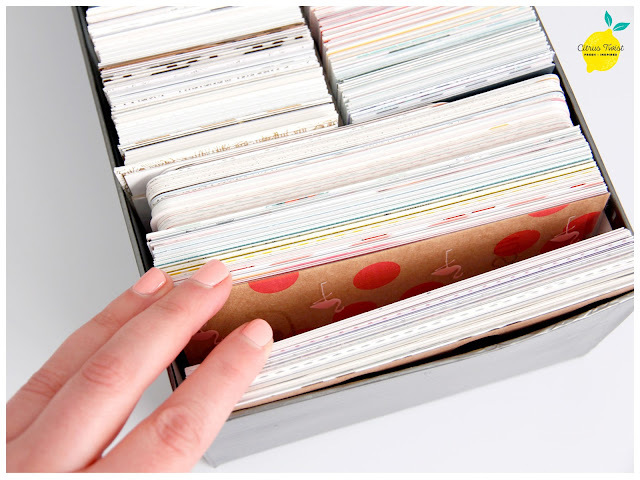 Originally I colour coded and stored all my journaling cards in a large, heavy, divided box. 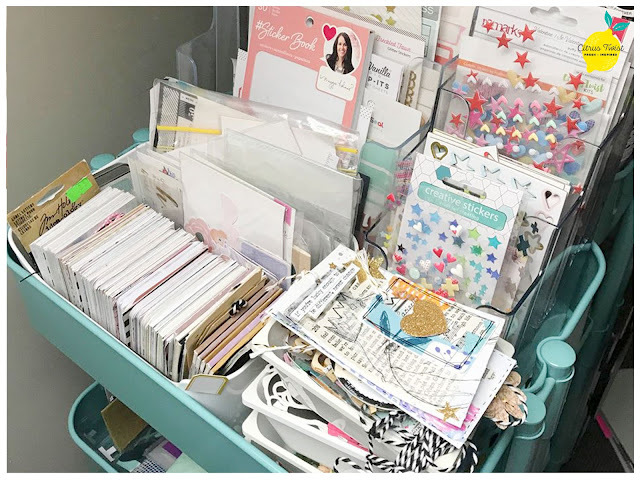 This was great when I didn’t have a lot of other supplies and could easier open and dig through it on a flat surface in my craft room...however, my supplies have since accumulated and I now need a more compact form of storage! I accidentally stumbled across this clear plastic chocolate container from a gift and realised that it fits 3x4 cards perfectly! I now store my fav cards, 3x4” pieces of scrapbook paper scraps and any leftover cards from my monthly CT PL kits here, right next to my desk. 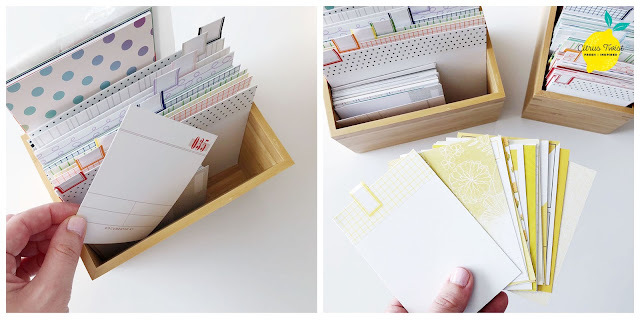 My tip for journaling card storage - make it simple and adjust it to suit how you scrap. If you scrap by colour, sort that way. If you prefer to dig through a treasure trove of mismatched themes and styles like me, store them all together! I like to keep all my CTK supplies together, which I do using an Ikea box. 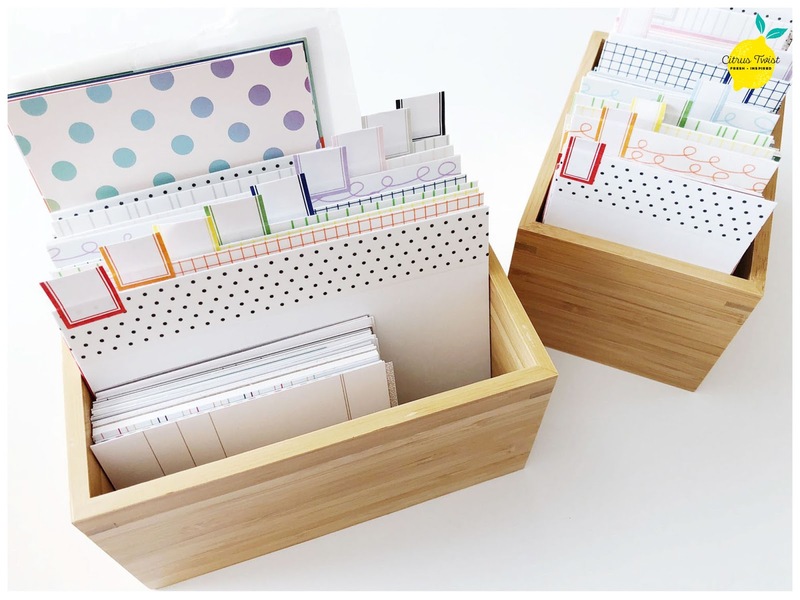 When I work on a project such as a PL spread, I will pull out my journaling cards and store them in a small container while work. This enables me to see all my cards and sort through them easily. 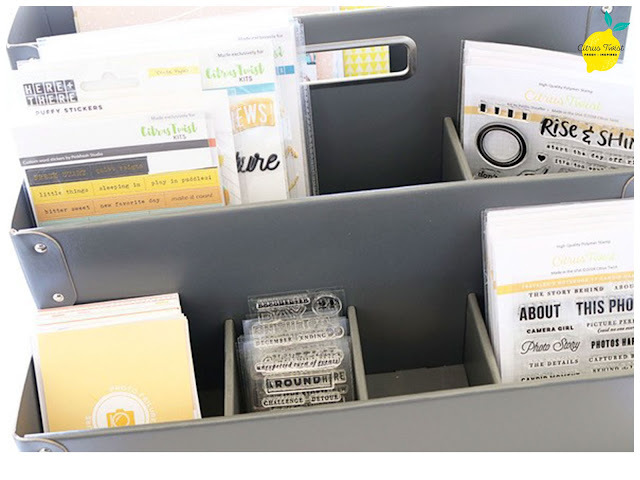 I love to keep all my Citrus Twist goodies together in one spot for easy creating. I use the CTK journal cards and stamps so often that I keep my box at the top of my Kallax organizer from Ikea. This little organizer fits all my 3x4 and 4x6 journal cards perfectly. 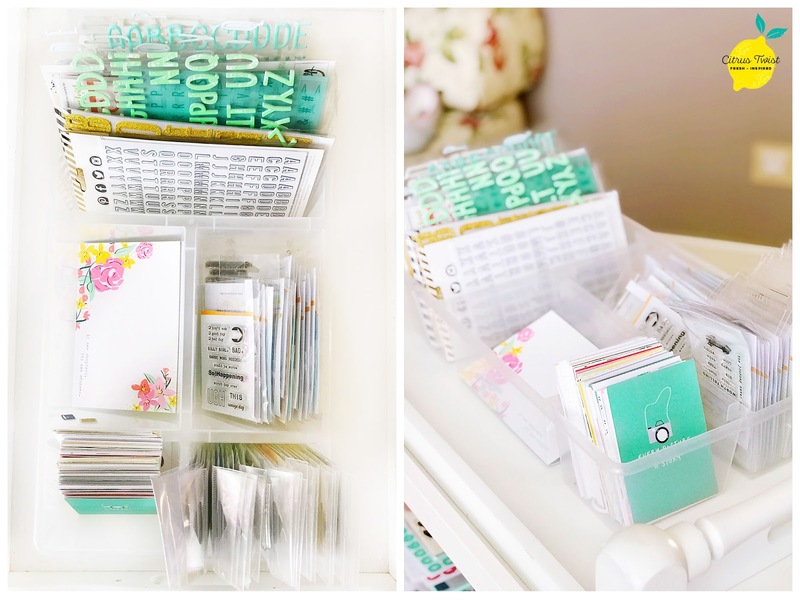 I am easily able to flip through all the cards and pick out my favorites for each project, and it looks so cute! 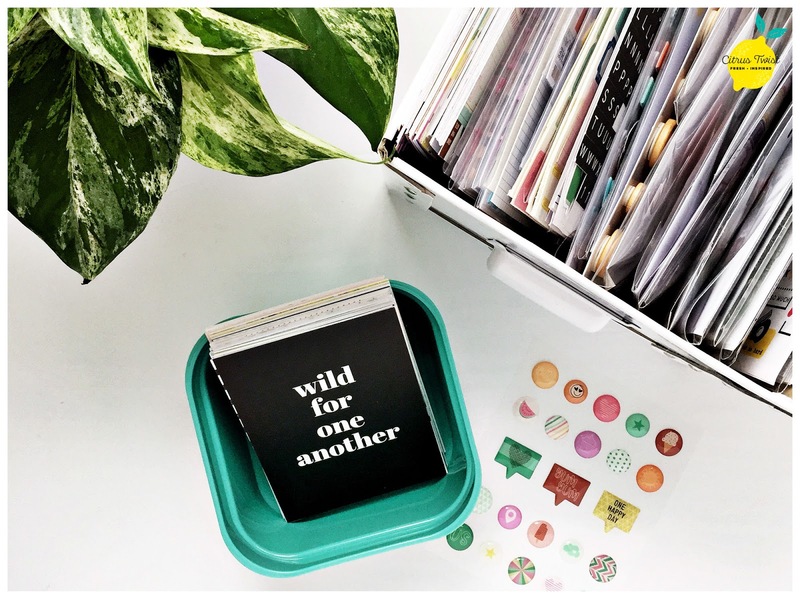 By keeping all your products organized it cuts down on the time it takes for you to find that “perfect” product and lets you just get to the fun of creating and telling stories! Once I have finished working with a kit, I go through what ever cards are left (if any!) and decide whether to keep them or not. I don't find any point in keeping cards I know don't suit my style or have a sentiment or colour I don't love. 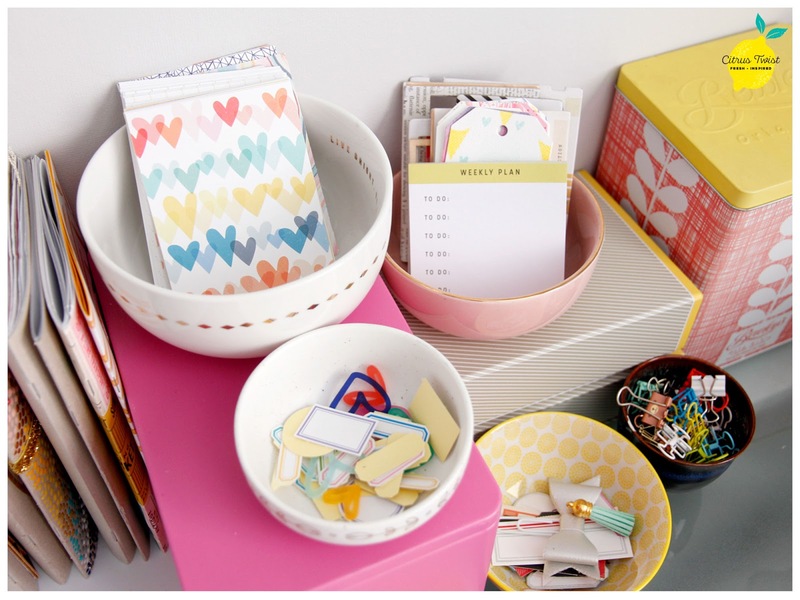 Any I love and desperately want to use, I keep in a little bowl on my desk where I have easy access to them. The others go into my card storage box (literally an old shoe box I added cardboard dividers too!) where they are stored by colour. 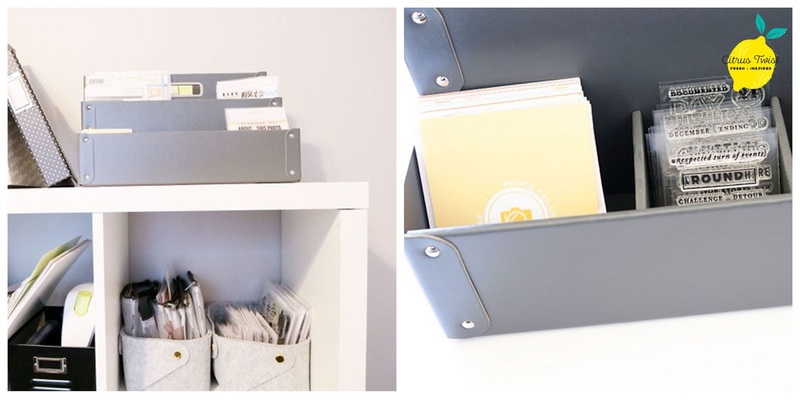 We always love seeing how our Creative Team members store their goodies! How do your store your journaling cards? We would love to see/hear (just share a post on the Facebook Fanpage!). Is there anything you would like to see from our "In My Studio" posts? Please leave a comment below and we'll be sure to include it in the future! 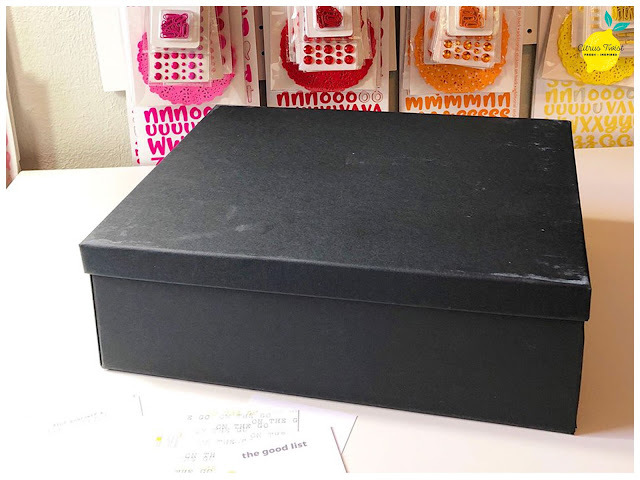 Candace, where did you get your organizer box?